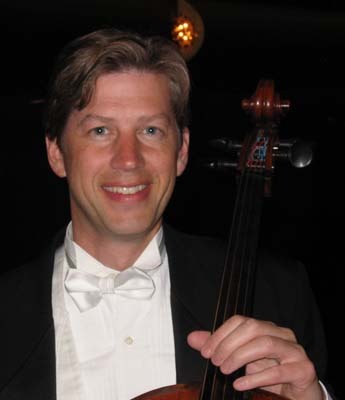 Cellist John Eckstein joined the Utah Symphony in June, 1990. Previously Associate Principal Cello of the New Orleans Symphony and Principal Cello of the Omaha Symphony, he enjoys a varied musical life of orchestral, chamber, and solo playing, in addition to his teaching duties at the University of Utah. After graduating from the Interlochen Arts Academy, Mr. Eckstein received his Bachelor of Music degree from the Eastman School of Music. He completed his Master of Music under the tutelage of famed cellist Raya Garbousova. Other teachers have included Steven Doane, Ralph Kishbaum, Ron Leonard, Richard Kapuschinski, and Dennis Brott. Mr. Eckstein was a founding member of the Abramyan String Quartet. With the Abramyan he concertized extensively throughout the US as well as Japan on six occasions. In 2004, he served as Principal Cellist with the Auckland Philharmonia in New Zealand. In addition to his orchestral duties there, he was featured soloist on several occasions. Mr. Eckstein is also a member of the Grand Teton Music Festival and has appeared repeatedly on virtually every chamber music series in Utah. When he isn't playing the cello, he can be found skiing, golfing, or playing with his two children Nina and Jamie.